Some homes’ exterior present challenges to installing a full-size condensing unit, and that’s where units like the Bryant Compact Preferred Series Model 538A come in very handy. It is perfect for deck or rooftop installation and can be set as close as 6 inches to the exterior wall. James in Royal Oak, Michigan sent in this Bryant Compact Preferred Series Model 538A 15 SEER central air conditioner price along with a few details that are helpful. 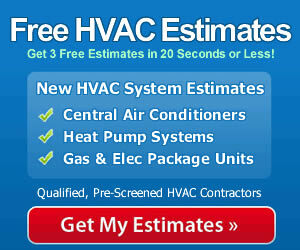 Up to 15 SEER – Energy Star rated and tax credit eligible with a qualifying system. Pressure switches to protect the compressor. Uses the Evolution control with onboard diagnostics and fault codes. Flow-through air design works with a smaller fan. Quieter operation – as low as 66 db. DuraGuard Plus system protects internal components. Heavy-gauge galvanized cabinet is powder-coated for looks and durability. The system is very quiet – we hardly hear it even when we are sitting on the deck or working in the yard. It works like a champ too. The house is very comfortable, even in the hottest, most humid weather. We think it is a great unit and we are glad to recommend it. That’s a great unit that James chose – and it should deliver outstanding performance long after the warranty has expired. If you want to get the most from the unit you install, choose a qualified contractor to do the work. They have the skill, the expertise and the training to do it correctly. Plus, you’ll have the assurance that the warranty will be honored if any issues arise, and you’ll have an established relationship with a professional when questions or the need for maintenance or repairs arise. In the long-run you’ll get the best durability and energy efficiency when your system is installed by a qualified professional, so search for the right contractor as diligently as you pursue the best HVAC prices.